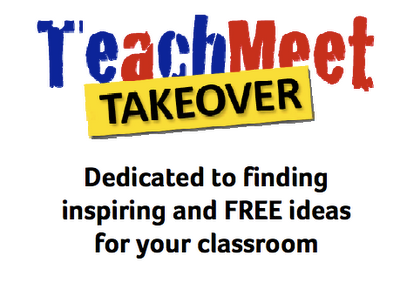 Thanks to @Iris_Connect, you can now access some of the many TeachMeetTakeover sessions. Next week I will be mostly in London. And I’m very excited! There are lots of reasons and over the next few posts, I’ll tell you why! BETT is really a huge trade show with people wanting you to buy their products to use in your educational setting. This year, educators are taking over stands for half hour slots to share what they’ve done in their classrooms with free stuff. When I say ‘takeover’, the stand owners – including Scholastic, BrainPopUK, Adobe and NetIntelligence – have donated time so it’s not an aggressive thing, and that’s great as our ideas have probably got nothing to do with what their stand is showcasing. I’ve volunteered to speak at 10.30 on Friday on the Rising Stars stand on ‘Ideas for tools in language learning including Voki, Wallwisher, Voicethread, Storybird‘. I’ll try to remember to record it – it’s about time for another episode of Lisibo talks! Here’s a link to the whole programme. If you’re at BETT, why not pop along to one or two sessions. There’s a goody bag worth £300 for people who participate and fill in some ideas they’ve gained from the experience so it’s worth it! So that’s reason one why I’m excited about BETT.